The best of Dodge Chrysler Jeep RAM’s models can be found in our stock at Interstate Dodge Chrysler Jeep Ram FIAT. The opportunity for us to aid people in the Ruston area to buy the car they love and deserve is what we’re here for. Our website hosts our inventory of brand new and used vehicles for buyers in the Ruston area to browse at their leisure. No matter what your needs are, we’re sure we can find a Dodge Chrysler Jeep RAM vehicle that can handle them. Have you been shopping around Louisiana for a used car? 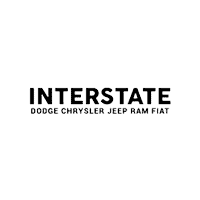 Interstate Dodge Chrysler Jeep Ram FIAT is the only stop you need to make. Our pre-owned inventory has a wide variety of cars, trucks, and SUVs by many of today’s top automakers. Interstate Dodge Chrysler Jeep Ram FIAT wants to make achieving your goal of an affordable car loan near Ruston a quick and stress-free experience! Our financial professionals can help anyone achieve an auto lease or car loan in Louisiana, even those with not so perfect credit! So please contact us. We’re excited to help! Our Dodge Chrysler Jeep RAM car repair center found near Ruston Louisiana has the resources to ensure your car runs as if you’d just bought it. We also provide certified parts to customers in the Ruston area so that you can keep your vehicle running at its best. Schedule a service appointment via our website. A smaller city located just east of the Ark-La-Tex region, Ruston is home to Louisiana Tech University and is a popular college town. The University provides a variety of activities and culture for locals, visitors, and students. For instance, the Arboretum is comprised of 50 acres of forestry land. Additional places of interest include many great restaurants, a great downtown area with bountiful shopping spots, and a Celebrity Theater comprised of eight screens. Ruston has a variety of useful sites and locations for residents to take advantage of.